I've been a Realtor® for over 30 years and have lived in Sedona since 1997. I have listed and sold some of the most beautiful properties in Sedona. I know where to look and how to help you find your perfect Sedona home or building site. Use my web site to get useful information about Sedona and its surrounding cities, and to source more general Sedona real estate information. 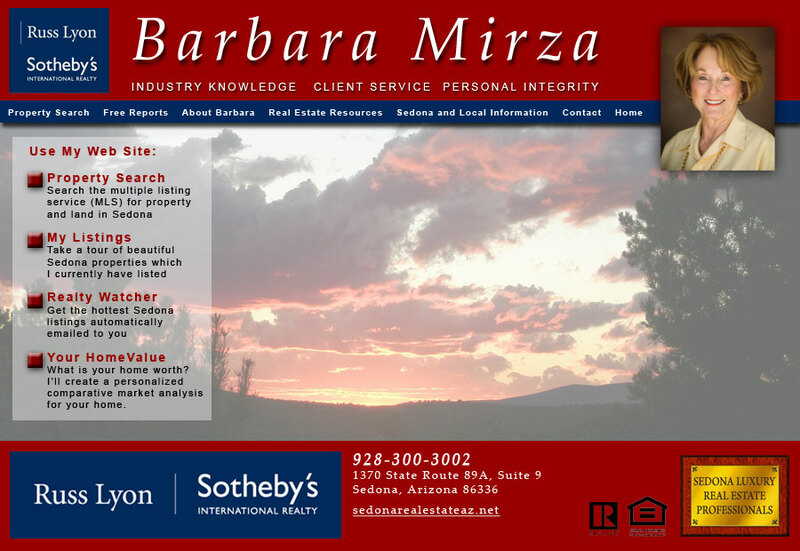 Be sure to call me at 928-300-3002 or email me at barbara@barbaramirza.com and I will personally answer all your Sedona real estate questions.